Last summer I found the video for the Bullet Journal method of organization. I decided to give it a shot, and it has been working pretty well with some modifications since. Having my schedule and to do list on one page has been really helpful. It’s been especially helpful when filling out reports after the fact, figuring out what days I took vacation or sick leave, and keeping bits of information that I know I’ll have to refer back to later. Some parts of the bullet journal method were too time consuming to be useful. 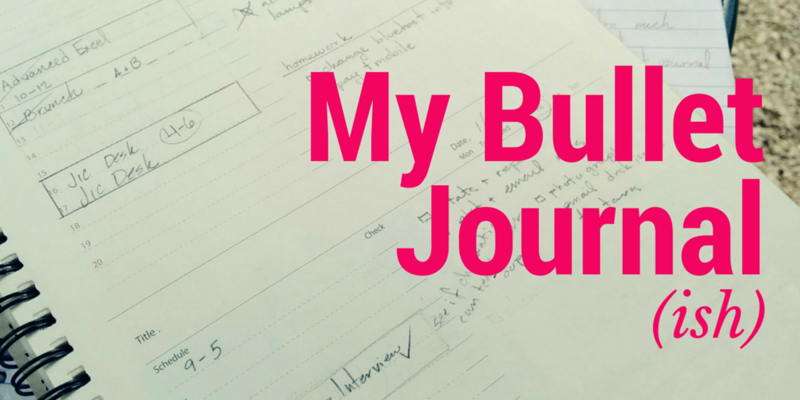 I would end up spending a significant amount of time setting up the structure of the journal. Flipping back and forth to the index drove me crazy. I kept forgetting the symbols. It was just too complicated. So I took the bits of it that I liked, and just used those. I bought an overpriced planner at Anthropologie and set up a bullet journal lite. The planner is almost perfect. It has monthly and yearly calendars in the front. Then a large section of spreads with 4 days each, then notes. The daily section is where I spend the most time. Each day is split into a schedule and a blank space for notes Unfortunatly the schedule is in military time, which has screwed me up more than once. 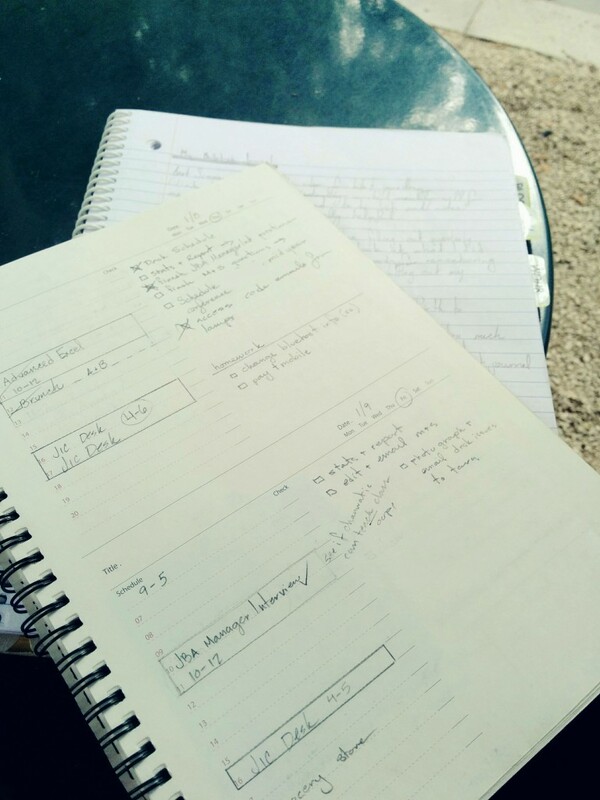 I use the schedule to block out time for appointments or tasks that I have to focus on. Then I have a visual of what I’m supposed to be doing that day. The blank area to the side is where my to-do list and notes go. I used the notes section until I ran out of space but now I keep another notebook for writing down ideas and drafting writing projects. I keep it separated into sections for work, ULU and the blog. I’m running out of pages in the planner now, and so my obsession with stationary marches on. Do I get the same planner again? Or do I pick a new one?! My quest for the perfect planner system continues.